The FreshWater portable gravity filter is a convenient way to enjoy freshly filtered water. Capable of producing up to 100 litres per day of freshly filtered water, our stainless steel gravity filter comes complete with four Sugalite cartridges and requires no plumbing. It is capable of removing 99.99% of all particles larger than 1 micron including dirt, rust, sediment, bacteria and parasites. In addition to pathogenic bacteria, the Sugalite removes organic pollutants, such as agricultural pesticides and herbicides, chlorine, and dissolved heavy metals, such as cadmium, lead, mercury and copper. 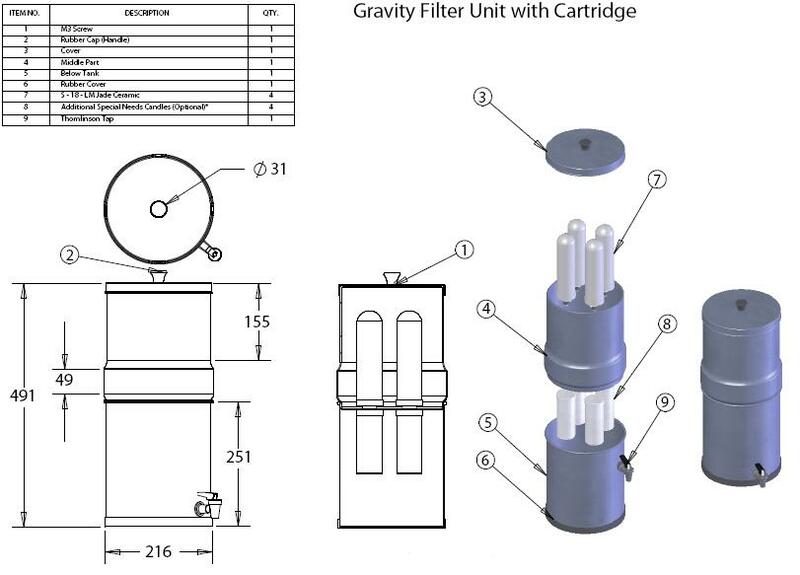 A gravity filter will also improve the taste of your drinking water and remove odours.